Japanese statesman Tomomi Iwakura (岩倉具視, 1825 -1883). 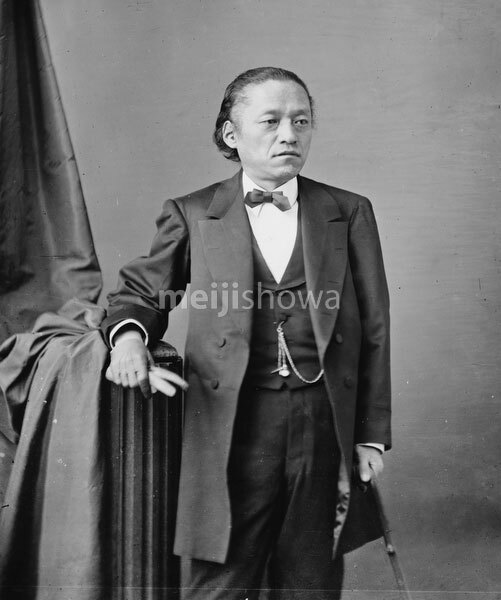 Iwakura is especially known for the Iwakura Mission (岩倉使節団, Iwakura Shisetsudan), a Japanese diplomatic journey around the world between 1871 (Meiji 4) and 1873 (Meiji 6) that was extremely important for the modernization of Japan. Iwakura was also instrumental in the creation of a Japanese constitution.